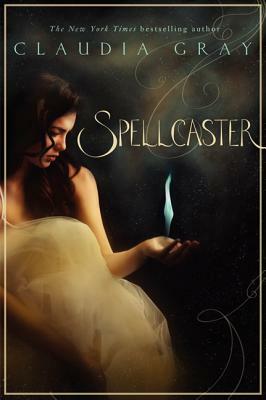 A darkly enchanting series from New York Times bestselling author Claudia Gray about a teenage witch who battles dark forces in her small town, perfect for fans of the Beautiful Creatures and Hex Hall series. A boy cursed with visions that lead to madness. A girl granted the powers to save him. As soon as Nadia arrives in Captive's Sound, she knows something is seriously wrong. The town is shrouded in dark magic, more powerful and complex than she has ever seen. Mateo has lived in Captive's Sound his entire life, trying to dodge the local legend that his family is "cursed" with insanity. When the mysterious girl he has been dreaming of every night appears (Nadia), he fears the curse may be true. But danger is coming, and Nadia and Mateo must work together to stop this unknown force before it destroys everything in its path.